(by Nate Raymond, Reuters) – Delaware on Friday became the latest state to file a lawsuit accusing corporations of helping fuel the national opioid epidemic, suing a wide range of companies involved in making, distributing and selling prescription painkillers. The lawsuit, filed by Delaware Attorney General Matt Denn in a state court, targeted drugmakers Purdue Pharma and Endo International along with several wholesale drug distributors and the retailers CVS Health Corp and Walgreens Boots Alliance Inc. The lawsuit accused Purdue and Endo of engaging in a massive marketing campaign aimed at concealing the risks of using opioids to treat chronic pain in order to overcome a medical consensus that using the drugs for that purpose was unsafe. Distributors including McKesson Corp, Cardinal Health Inc and AmerisourceBergen Corp along with the two retailers ignored red flags indicating that opioids were being diverted for illicit uses, according to the lawsuit. “The failure of these corporate defendants to meet their legal obligations has had a devastating impact on Delawareans,” Denn said in a statement. 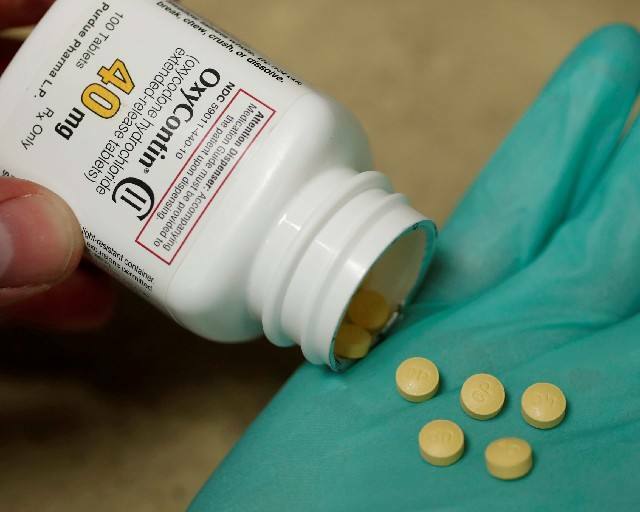 Purdue, which produces OxyContin, and Endo, which last year withdrew Opana ER from the market, in separate statements said they denied the allegations but are concerned about opioid abuse. AmerisourceBergen said it was dedicated to doing its part to mitigate the diversion of drugs. Cardinal Health said it would defend itself in court. Other defendants in the lawsuit included Anda, a distributor owned by Teva Pharmaceutical Industries Ltd. Representatives for Anda and the other companies did not immediately respond to requests for comment. Opioids were involved in over 42,000 overdose deaths in 2016, according to the U.S. Centers for Disease Control and Prevention. A wave of lawsuits by states, counties and cities have accused drugmakers of pushing addictive painkillers through deceptive marketing and wholesale distributors of failing to report suspicious drug orders. A group of state attorneys general have been conducting a multistate investigation into whether companies that manufacture and distribute prescription opioids engaged in unlawful practices. Increasingly, some attorneys general have decided to file lawsuits outside of the probe alone against the companies under scrutiny. At least 14 other states are pursuing opioid-related lawsuits against one or more the companies Delaware sued. A federal judge in Ohio overseeing more than 200 lawsuits by cities, counties and others over the opioid epidemic recently reached out to some state attorneys general about meeting as he pushes for a quick settlement of the litigation. From Reuters .com. Reprinted here for educational purposes only. May not be reproduced on other websites without permission from Thomson Reuters. 2. List the companies Delaware’s attorney general named in the lawsuit he filed in state court. 3. What specific accusation(s) did the attorney general make against the companies in the lawsuit? 4. How have the companies responded to the allegations? 5. How many people died from overdoses linked to opioids in the U.S. in 2016? 6. List the lawsuits other government entities have filed against pharmaceutical companies. 7. a) Do you think the companies are guilty of the charges brought against them? Explain your answer. b) People who are in serious pain can benefit from painkillers. But the opioid crisis has reached an epidemic. What do you think is the best way to end this crisis? (Ban opioids outright, educate people about their destructive effects, create a national database that would impose strict regulations on the distribution/use of the painkillers, hold the makers/distributors legally liable…etc.) Explain your answer.